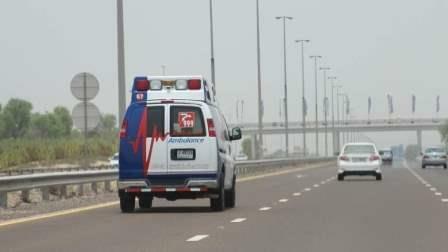 Dubai Corporation for Ambulance Services (DCAS) is imposing a self-funding programme to cover basic operational costs starting from Dh600 and going up to Dh1,200 for emergencies, after a law on the same was approved by Sheikh Hamdan bin Mohammed bin Rashid Al Maktoum, Crown Prince of Dubai and Chairman of the Dubai Executive Council. An amount of Dh6,770 will be the stipulated compensation for traffic incidents resulting in bodily injury or death. As per the details of the decree, the basic fee is Dh600 for treatment at the site of the injury without transferring the person. With a transfer to the nearest hospital it will cost Dh800. First and second level ambulatory services will cost between Dh1,000 to Dh1,200. The ambulatory services are to be covered by the insurance company of the recipient. The second accompanying table to the decree specifies fees for preparatory emergency training and evacuation services for non-government entities between Dh400 to Dh2,150. This includes services like fire drills which require vehicular assistance. Emergency ambulance fees are not applied if injuries are caused by traffic accidents. This is in line with the fee structure specified in the Executive Council Resolution No 2 for 2016, which allows Dubai Police and the Dubai Ambulatory services to charge Dh6,770. This is in compensation for transferring each person affected by a bodily injury or death of individuals after traffic accidents, from the insurance provider of the offending party.